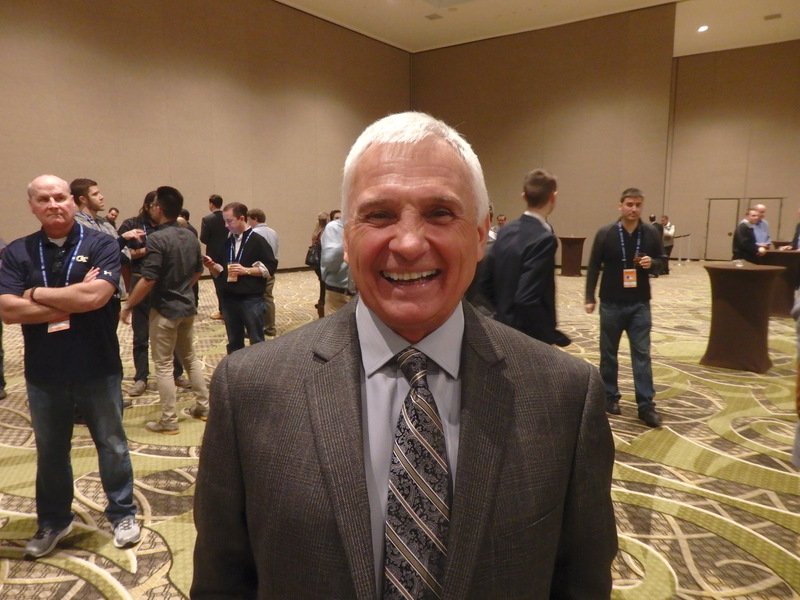 Terry Collins had a lot to smile about at the winter meetings. While there are plenty of news junkies this week in Nashville at the baseball winter meetings, the absolute best part is running into people you’ve known for a long time or have wanted to meet for a long time. On Tuesday, I spoke briefly with former Orix manager Terry Collins, who is now riding high and aiming higher with the NL champion New York Mets. My story for Kyodo News is here. Later that day, burdened by the jet lag albatross, I ran into former Triple Crown-winner Boomer Wells and former Seibu Lion Terry Whitfield. Boomer’s the greatest and as usual had several stories to make my day. Terry is someone I’d wanted to talk to ever since fate steered me toward Japan. I had been a fan of his with the San Francisco Giants, and I remember him coming back to the Dodgers after he left Seibu. I also ran into Charlie Manuel, who told me that what he got out of Japan was the lesson that the world doesn’t revolve around Charlie Manuel — which we now know is true, because science has proved it revolves around Boomer Wells. Nippon Ham Fighters scout Matt Winters, whose quest for beer nirvana is awe-inspiring, said he’s “trying to catch up with Boomer,” which seemed an impossible chase, given Boomer’s inspired start. But Boomer, the former New York Jets lineman and Japanese baseball legend, is being a sport and has slimmed down considerably, looking much fitter than he has in a long time. Man that was good to see.